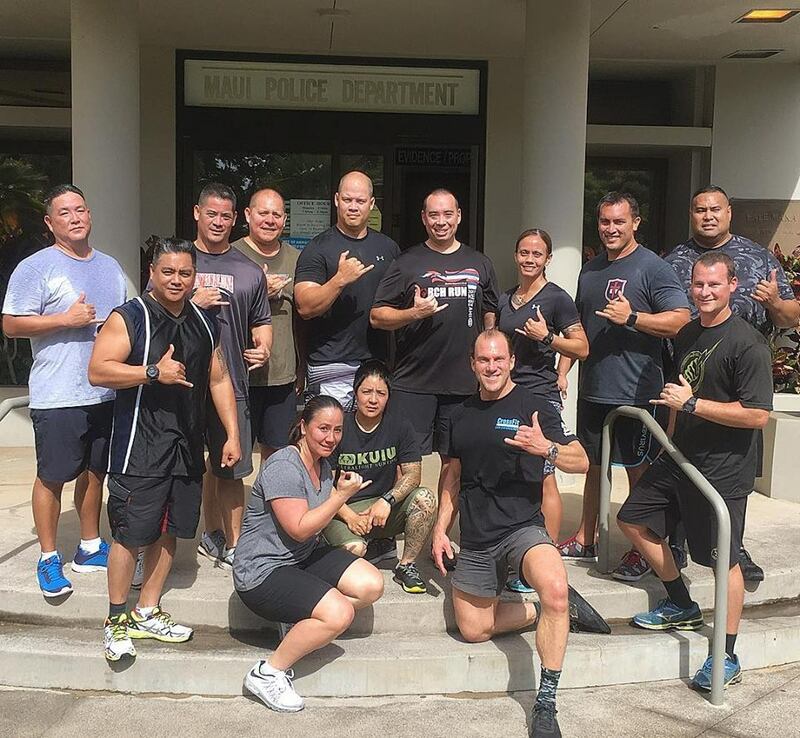 I had an awesome day training with these warriors from Maui Police Department during the CrossFit Law Enforcement Application Course. I love the “Aloha” spirit these Officers brought to the course, and their commitment to developing a strong mind, body and Spirit. Special thanks to LT. Reid Pursley for his generosity and dedication to implementing CrossFit for his Officers.